I have been experimenting a lot with Tahini lately. If you are unfamiliar with Tahini, it simple is ground sesame seeds, which by the way, has a good amount of calcium. You can find either jars or tins in the Peanut butter isle of your market. A lot of times you will see Tahini in savory dishes. Well, I am loving this for a healthy, sweet ingredient for my recipes. I hope you enjoy these as much as we do around my home and know they are made with healthy ingredients. 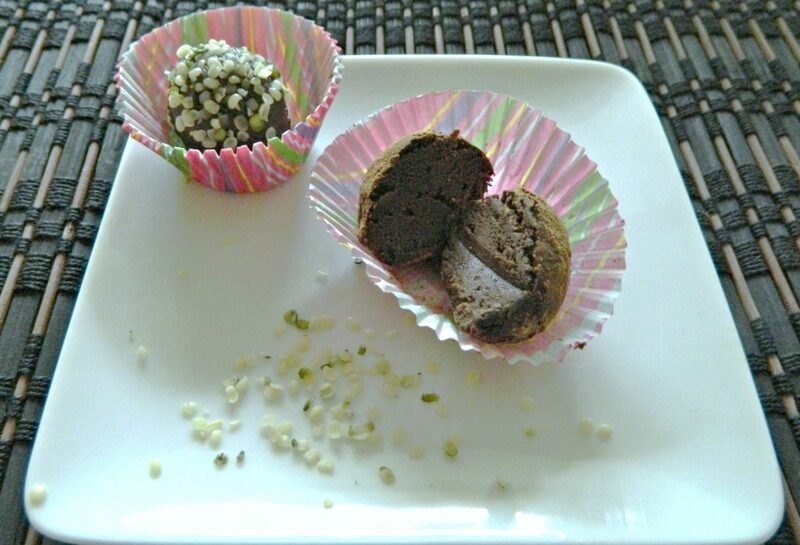 1 dropper of SweetLeaf all natural Stevia, or powdered Stevia to taste, I use chocolate stevia for this recipe. Have a cookie sheet lined with wax or parchment paper and set aside. Place all ingredients except almond milk and optional toppings in a medium bowl, mix with a sturdy rubber spatula. Start adding the almond milk until you have a good texture to roll into balls. 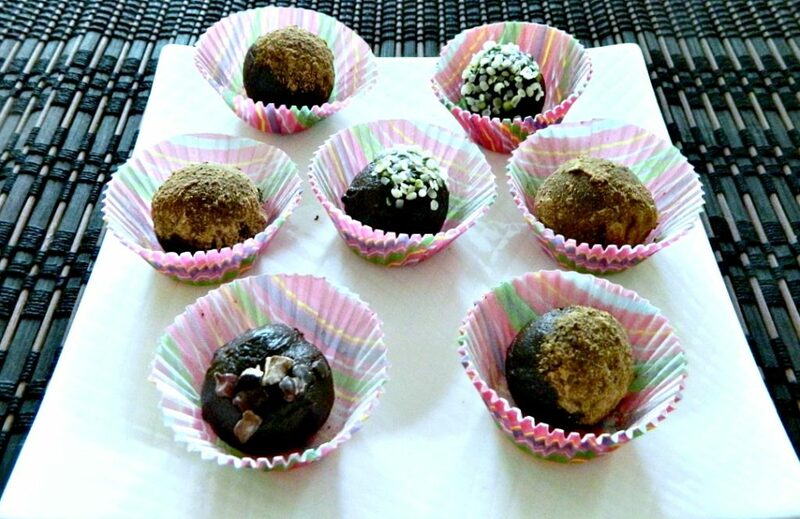 Roll into 6 truffle balls and dip part of the truffle in any topping you decide or leave plain. They are perfect just like that. Place in fridge for about an hour to harden up just a bit. Enjoy every rich tasting bite!